I just found this site thanks to Ravelry. Now I know what I’ll be making with the rest of my yarn stash. If you live in Massachusetts (or if not, still check it out), then why don’t you knit/crochet up some hats to help out? 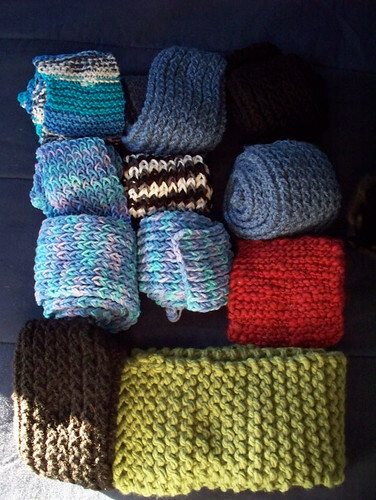 Here are all of the scarves that I made and will be donating to the survival center this week. I was hoping to make more but I kept getting distracted by other things. At least they are better than none! 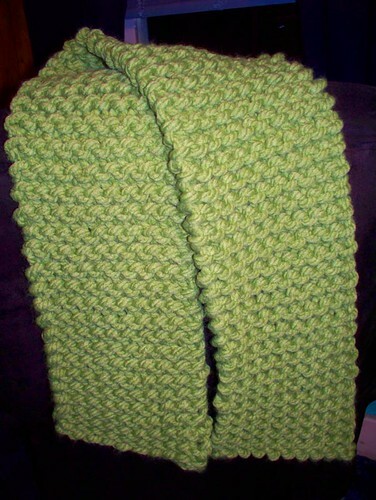 I finished scarf number three on Sunday but am just now posting. This one came out really really long because I went until I finished the skein. Since I know there are people who like long scarves, I’m not worried about someone not liking it. Also, this is another ATC I did for the 7 Deadly Sins swap over at Swap-Bot. I honestly had a hard time doing this one as I just could not think of anything. After reading and re-reading the description of the sin (Sloth), it says that the goat and the color light blue are associated with it. This is what I came up with. It is also my first hand drawn ATC. I hope my partner likes it. Here is another ATC for the Deadly Sins swap over at Swap-Bot. This one is Greed. When I hear Greed I think money and that means gold. It took me awhile to figure out how to do this one with what I had, but I like it in the end. Hope my partner does. 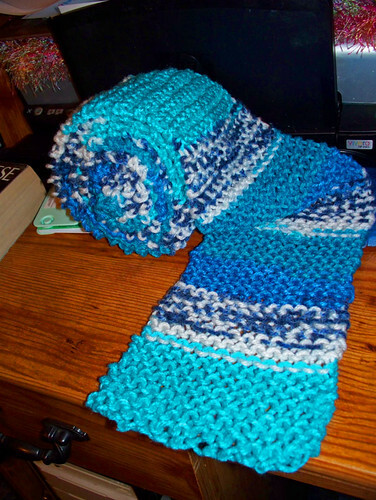 And I finished making the second scarf that I plan on donating later this year. It is short but is just long enough to put one end over your shoulder. It’s really thick and soft too. Not sure what size needles I used. My biggest, that’s all I know.